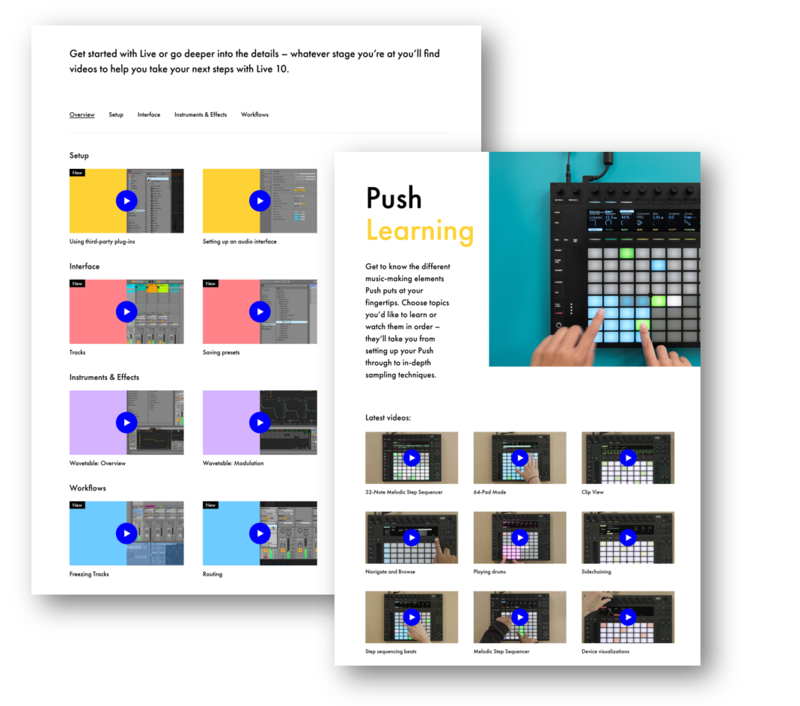 Ableton has released a large number of new videos to help your learn both Live 10 and Push 2. You the playlists for these videos (along with their other playlists) by visiting https://www.youtube.com/user/AbletonInc/playlists. The latest videos are also featured on Ableton’s web site at https://ableton.com/learn-push and https://www.ableton.com/live/learn-live. The Learn Live page categorizes videos by Overview, Setup, Interface, Instruments & Effects, Workflows. I just finished watching the latest Push 2 videos. I use Live 10 and Push 2 almost every day and learned some new things – so I differently recommend watching these videos whether you are new to Live 10 and Push 2 or a seasoned player.